"This book is an essential guide for all preachers, teachers, and worship planners who use the Revised Common Lectionary, or for those who are even curious about it." &-Rev. Dr. Thomas G. Long, Candler School of Theology What is the point of the Lectionary? What are the problems and opportunities that it presents to those who use it? What are its strengths and weaknesses as an aid to worship? How can it be used and communicated most effectively today? These are among the key questions Thomas O'Loughlin addresses in this stimulating and much needed liturgical guide to the design, history, theology, and purposes of the Lectionary. 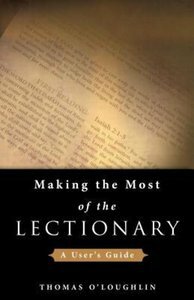 About "Making the Most of the Lectionary"